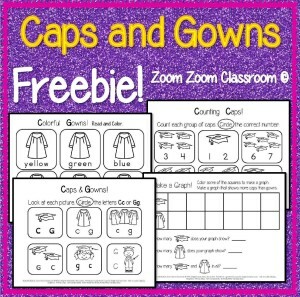 High school seniors are not the only ones that will be wearing caps and gowns this May and June! 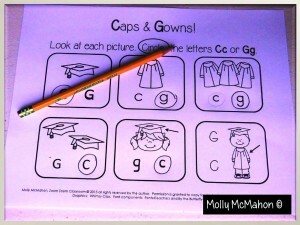 Did you know that some kindergartners will be dressed as little graduates too? They wear these for the closing ceremonies at the end of the school year. But . . . technically, they have a few more years of school before they can get a high school DIPLOMA! FREEBIE ALERT! I made 4 printables with a few kindergarten skills in mind. I know that you have worked on these types of skills all year long! It’s a “Cap and Gown” theme. There are two language arts review sheets and two math review sheets. 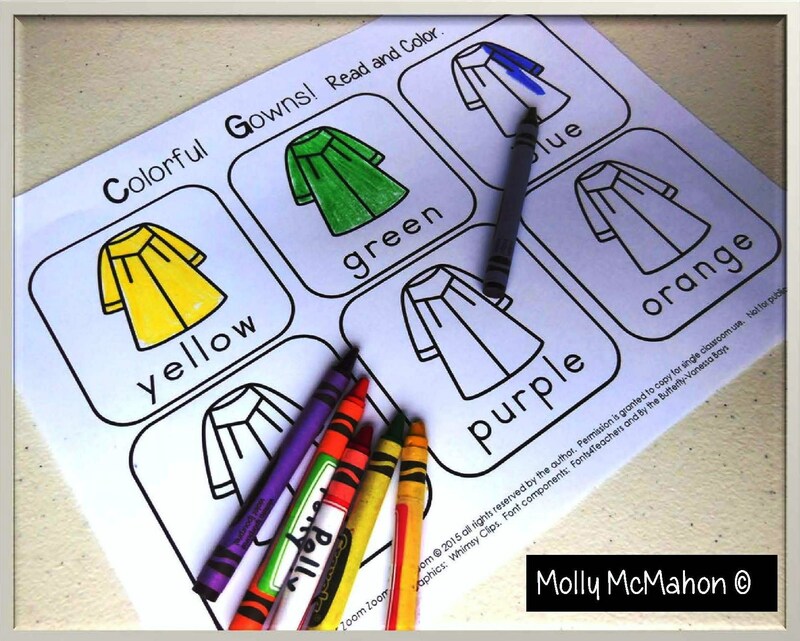 The printable in the photo shown below is a coloring activity. 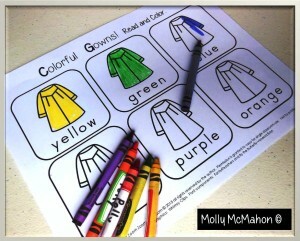 The children read the color words and color each gown appropriately. The next printable will review with the hard /c/ and hard /g/ sounds. 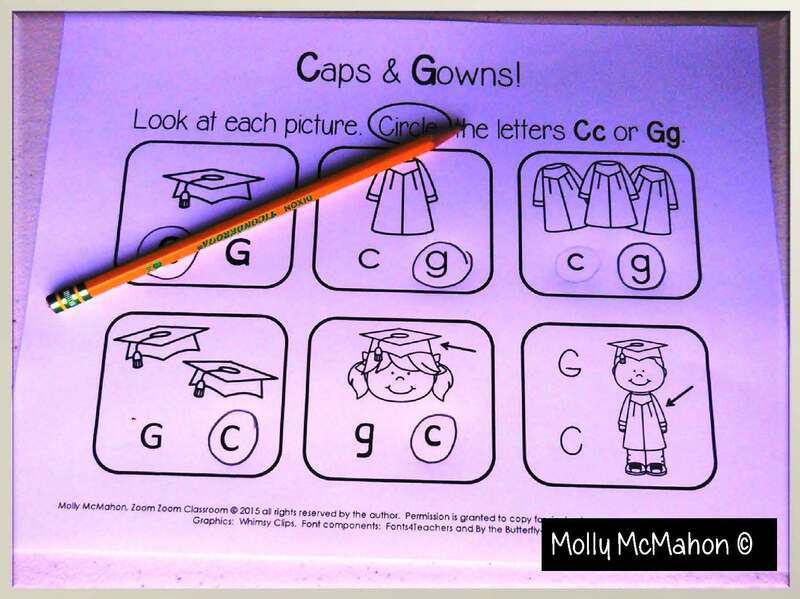 Children look at the picture and circle the letter that has the same beginning sound as in the word “cap” or as in the word “gown”. 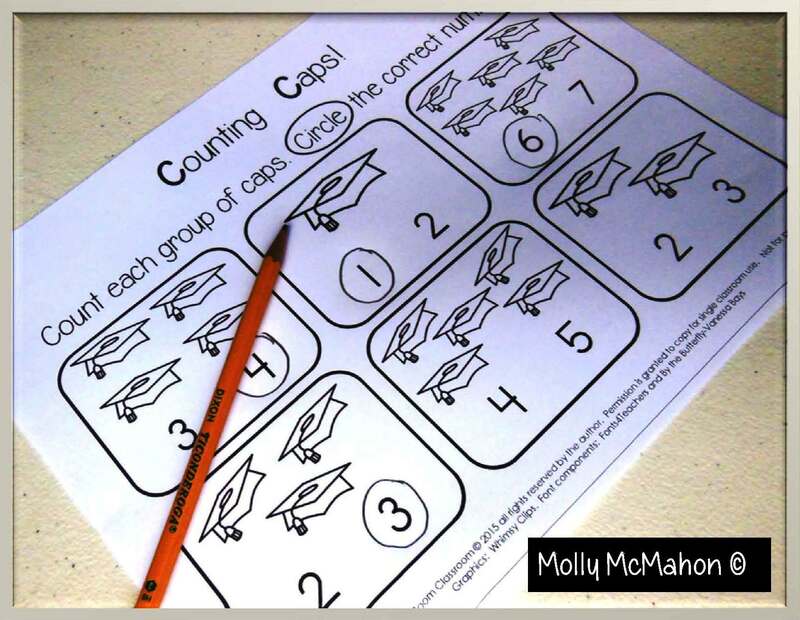 How many times did you practice counting this year? Here’s a printable to practice that skill once again! 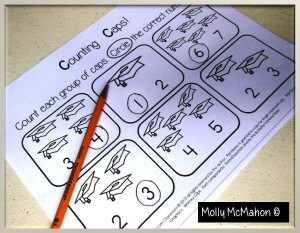 Children count the number of caps within each group and circle the appropriate numeral. The last sheet is a graphing activity. Children create a horizontal bar graph to show more caps than gowns. 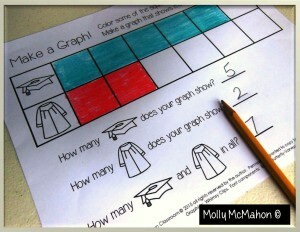 They answer a few basic questions about the graph they made. If you’re a kindergarten teacher, I hope your students will enjoy using these printables during one of their last days of school this year. To get the freebie, click on the image shown below. Then download and save it to your own computer or flash drive.